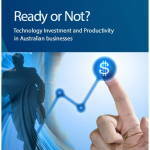 This report explores the relationship between technology investment and productivity in Australian companies. It draws from several sources: the Australian Industry Group’s 2013 National CEO Business Prospects Survey of nearly 350 CEOs, facilitated discussion groups with business leaders, and in-depth interviews with innovative companies from the manufacturing, services and construction sectors. 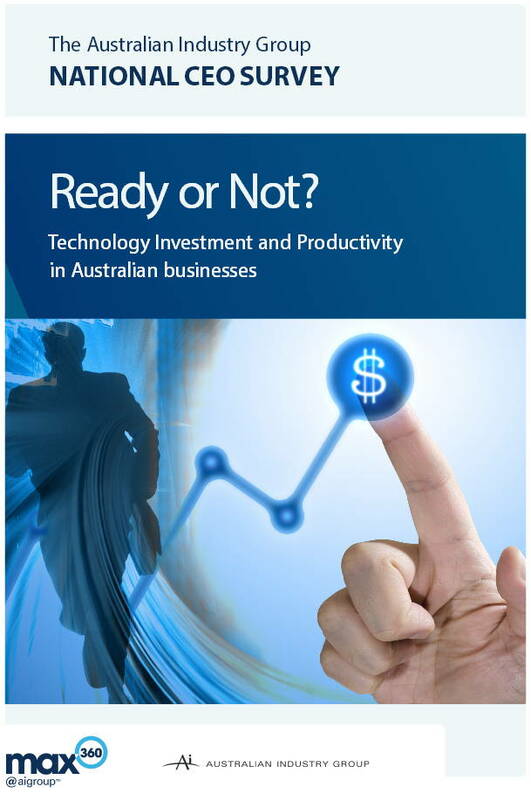 The Report examines the extent of Australian companies’ investment in new technologies and research and development, the success factors and barriers involved, and the impact of these investments on productivity. Australian businesses have been keen technology adopters over the last two decades. At a company level, this has had a positive impact on productivity, with new research undertaken for this report confirming that companies which invest in new technologies are significantly more likely to experience improved labour productivity than those that do not. Posted in Asia Pacific, Business Intelligence, Economy, Entrepreneurship, Federal, Productivity, Services Industry and tagged AiGroup, Australia, Australian companies, Australian Industry Group, Business, business prospect, impact of investment, Investment, Productivity, Technology.